Which plants can thrive and survive in an indoor environment? Stanley Borg tries to take his green fingers home. Home and your office are the two spaces where you spend the best part of your day. And by virtue of that, both are spaces which need to nurture your individuality, instil a sense of wellbeing and be gentle on your senses. In simpler terms, both spaces need to look nice. The quickest way to give your indoor space some aesthetic credentials is by investing in a couple of plants. The natural variety, of course: those plastic ones just look horrible and make everything look artificial. Plants don’t just add a touch of green to a room: as long as you given them a bit of light, air and water, they eliminate pollutants and reduce stress. The hanging spider plant removes pollutants from the air. • Studies have shown that the spider plant is precious in removing pollutants from indoor air. 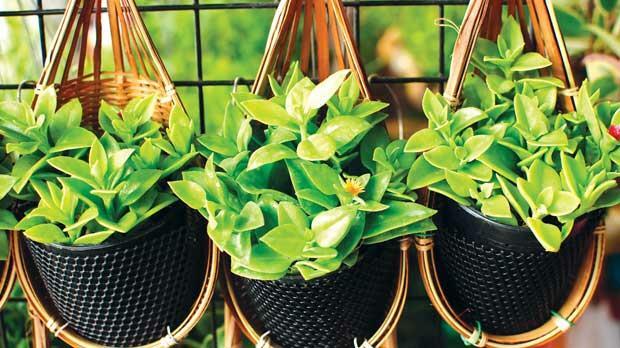 This low maintenance plant only needs rich potting soil, water, sun and shade to thrive: if you notice droopy leaves, just move your plant to a brighter spot for a few days. 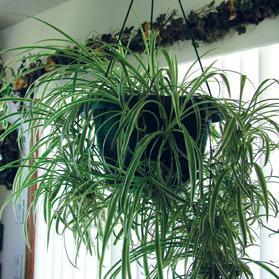 You can also hang spider plants: they look great in hanging baskets. • If you manage to kill a philodendron, you will have achieved some sort of negative record because these plants can withstand the most erratic of watering routines. Water just two to three times a week and keep in partial sunlight. According to a study conducted by the University of Technology, Sydney, Australia, the philodendron is especially efficient in reducing drowsiness and loss of concentration. Aloe vera like a bit of sun. 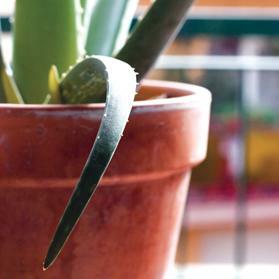 • Although sculptural in appearance, the aloe vera might not be the best-looking plant around. However, its health benefits are unsurpassed: the gel inside the leaves soothes paper cuts and skin ailments, making it particularly handy around the office. Give the plant plenty of sun and a bit of water and you’ll have a first aid kit right on your desk. Taking care of a bamboo plant couldn’t be easier. 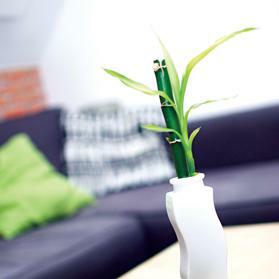 • Taking care of the office bamboo is a no-brainer. Just put a bamboo stick in some water, keep the water level up, and the plant will grow happily, even under the harsh glare of your colleague, sorry, office lights. After years in water, a bamboo might stop growing – when this happens, just plant it in some soil. • Like most plants, the size of the ficus is determined by the size of the pot. Plant it in a medium-sized pot and the ficus will grow to an office-friendly size. But if you make a patch of nice, deep soil its home, you’ll turn up for work one day to find that it has grown larger than the office. To keep your ficus happy, water it frequently and don’t move it around – a ficus hates changing light conditions.